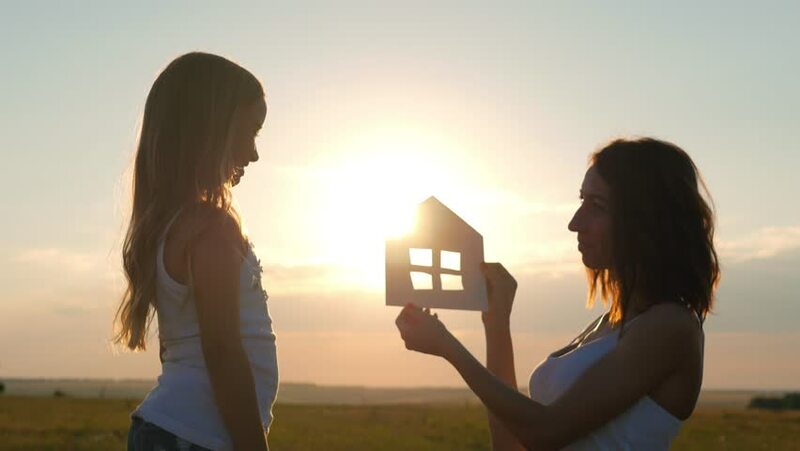 4k00:14Silhouette happy mother and daughter with dream house. Paper house as a symbol. The concept of family happiness.